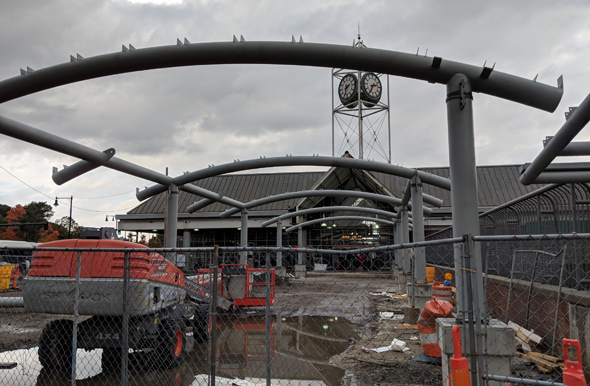 Jamaica Plain News reports the city and the T seem to be close to figuring out the permitting issues that were holding back installation of one of the bike-rental racks at the Forest Hills T station and the one could be in operation by early summer. The lack of a rental place there has meant a big gap in the bike network between Bluebike racks in the rest of JP and in Roslindale. The Zoning Board of Appeal today approved plans for a 21-unit, three-story apartment building at 50 Stedman St., which its developer is counting on becoming the gateway to transforming the area from garages and truck lots into a completely new residential area within an easy walk of the Forest Hills T stop. Read more. Steve Garfield reports that Bukhara Indian Bistro, currently on Centre Street at Burroughs Street, is moving to 3698 Washington St., across from the Forest Hills T stop, on April 1. Read more. Transit Police report officers doing the usual after-school presence in the Forest Hills lobby Tuesday afternoon wound up arresting a man who was not at all happy to see them because he had a gun in his pants. Read more. 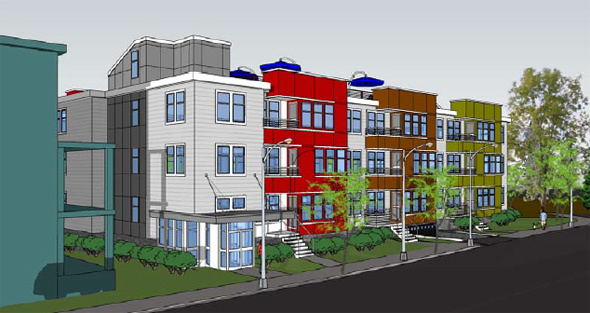 A South Boston developer is betting people will want to live in what could be a "gateway project" to transform Stedman Street in Jamaica Plain from a collection of truck yards and cinderblock buildings into a new residential area. Read more. Orange Line delays are MORE than 10 minutes. I have been sitting at Forest Hills for at least 10 minutes. Can you please get the trains moving, or, failing that, at least update your incorrect information? These delays are SEVERE. 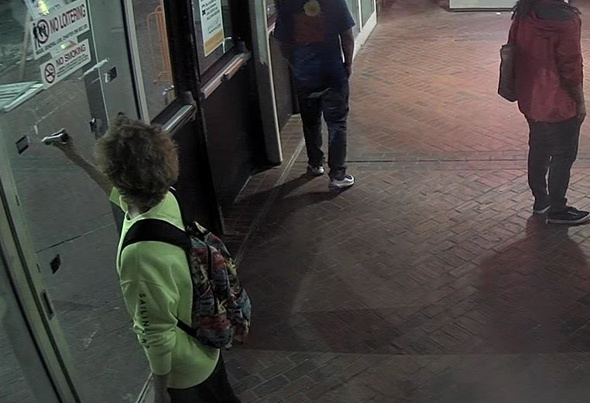 A troublesome tagger who went to Wyoming after promising, scout's honor, he would never write his nom de spray paint on MBTA property ever again, has returned and is once again marking up T property, Transit Police report. Read more. 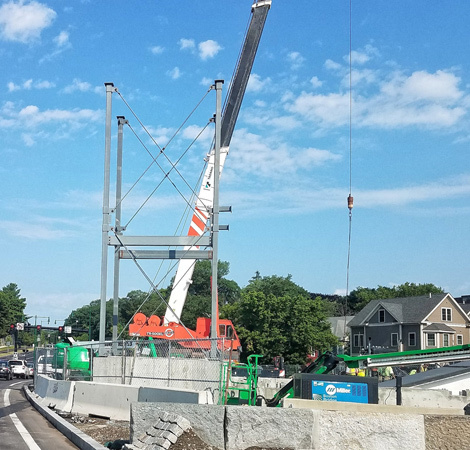 Clay Harper watched construction start today on the above-ground part of the new entrance to the Forest Hills T stop, or headhouse, which will let people on the northern side of the Arborway get into the station without having to cross the busy road. 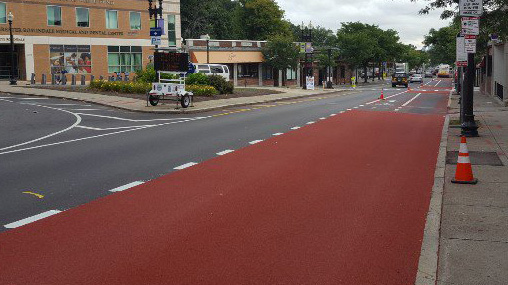 New canopy starts going up for Forest Hills upper busway. 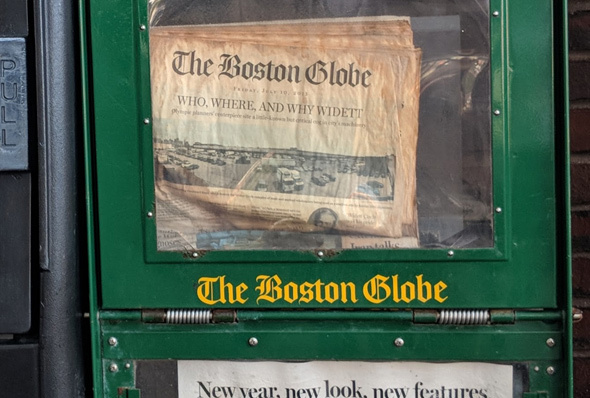 Since 2015, Widett Circle fans who use one of the upper-busway routes at Forest Hills have been able to enjoy the permanent display of a banner headline about the industrial area on the last Boston Globe ever delivered to the honor box there. Read more. At least that way, people will have a place to get out of the rain, unlike now: Read more. 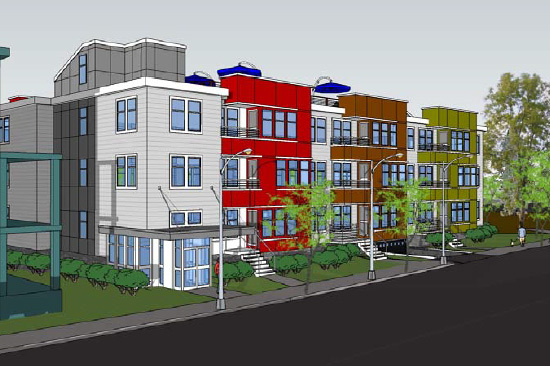 The developer of a residential complex going up between Hyde Park Avenue and the Amtrak/commuter-rail tracks at Forest Hills south of Ukraine Way is asking the BPDA's permission to let it change plans for six three-bedroom units into twelve units split between one and two bedrooms each. Read more.